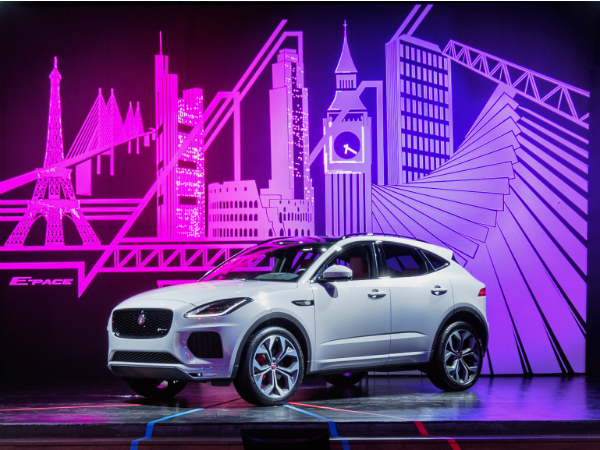 The new Jaguar E-PACE was revealed to a European audience on the eve of the Frankfurt motor show. The event, held by JLR Fleet & Business Europe welcomed 130 business leaders, responsible for fleets exceeding five million cars globally, and who bought more than 30,000 JLR vehicles in 2017. Following a keynote speech from Ben Saunders, leading polar explorer and global brand ambassador for Land Rover, our Global Product Marketing Director, Finbar McFall, revealed the Jaguar E-PACE to the audience. Also in attendance were CEO Prof. Dr Speth and CMO Gerd Maeuser and Simon Dransfield, General Manager of Fleet & Business at JLR Europe, who said: "The European Fleet VIP Event has proven to be a huge success for JLR in positioning our new products to our most valued fleet customers and partners. The New Jaguar E-PACE and New Jaguar XF Sportbrake are the latest additions to Jaguar’s seductive bloodline – both presenting an exciting opportunity for continued sales growth into the fleet and business market."